Members of the WFS who have visited Tickencote, and indeed those who have the pleasure to come, may be interested in this brief history of Tickencote Hall, a Wingfield home for some 250 years and home of Sir John Wingfield (1592-1631), grandfather of Thomas Wingfield of York River, Virginia. 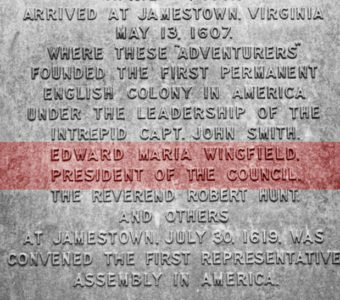 It was in 1593, just 14 years before Ed­ward Maria Wingfield founded Jamestown, Virginia, that the first Wingfield became associated with Tickencote, a tiny village, 100 miles north of London, in Rutland, the smallest county in England. 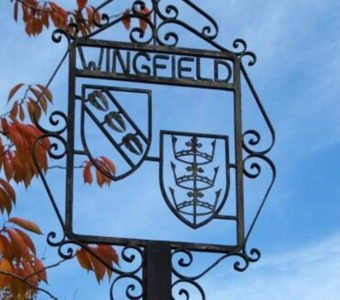 He was John Wingfield (1558-1616), second son of Sir Robert Wingfield of Upton (a village some 5 miles from Tickencote) and Elizabeth, sister of William Cecil, Lord Burghley, who was Lord Treasurer to Queen Elizabeth I. 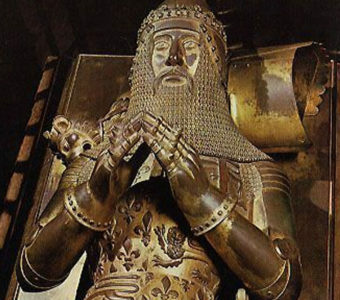 Sir Robert was grandson of Sir Henry Wingfield, the Governor of Orford Castle. This John Wingfield was the first of a suc­cession of twelve John Wingfields, inter­rupted only by Sir Richard Wingfield (1619-1663), to own Tickencote Hall and the surrounding land. He became Lord of the Manor of Tickencote by doing what more than one subsequent Tickencote Wingfield was to do; he married an heiress, in this case Elizabeth Gresham who, after a complicated series of transactions and law suits, had ac­quired the manor, together with 2,000 acres of land. In 1602 John and Elizabeth Wingfield moved into Tickencote Hall. This was an existing manor house, of which very little is known, but it was probably the one describ­ed in an inquisition in 1433 on the death of the owner, Sir Thomas Daneys. 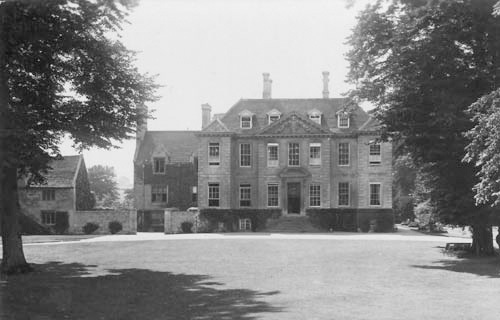 This became the home of four generations of Wingfields until it was demolished to make way for a new Hall which was completed in 1706. Parts of the old house were at that time incorporated into an outbuilding which was used for stabling and storage until 1947 when, as will be explained later, it was con­verted into the residence now named Ticken­cote Hall. The accompanying photo shows the 1906 Hall with the large Victorian extension at the rear. Before this extension was built the Hall was a four-story, stone built square building, with high chimneys, in the William and Mary style. It was imposing, but not especially elegant. Dr. Stukeley, the Stamford anti­quarian, described it thus in his diary of 1717: “We had a sumptuous dinner and after cousin Wingfield showed us his house, which as he assured me had cost him ten thousand pounds building. It is built of stone; the apartments are not large, but convenient. He showed me a large number of family pic­tures; his ancestors have been knights of the Order of the Garter.” It has been suggested that the Hall was designed by the famous architect, Sir John Vanbrugh. This is not correct, but the true architect has not as yet been identified. Tickencote Hall remained virtually un­changed through the 18th Century, but the 19th Century proved to be an eventful period. Anxious to improve the facilities of the site, John Wingfield (1763-1841) built a new water mill and created an artificial waterway two miles long to feed the mill pond. The mill, now converted into a dwell­ing house, can still be seen today.. Serious financial difficulties, however, resulted from the mill project. As Grace Wingfield ex­presses it in “Our Past”: “Possibly Mr. Wingfield’s bright and sanguine disposition may have led him to underestimate the cost of these undertakings. However that may be, or from whatever cause (the education of so large a family, 12 children, may well have been one), it was found about 1810 to 1813 that pecuniary difficulties had largely increas­ed; part of the estate was mortgaged, and there was danger of the loss of the old and much prized inheritance, unless some prompt and strong action was taken.” The action taken was to sell property at the near­by village of Market Overton and in 1814 to let Tickencote Hall to tenants and take rented accommodation in Bath for 16 years until 1830. At this point good fortune intervened; not only did John’s son, John Muxloe Wingfield (1790-1809), marry an heiress, Catherine Anne Harriet Lee (the Lee family was related to General Lee of American Civil War fame), but the property sold at Market Overton was bequeathed back to the Wingfields. John Muxloe was thus able to carry out a number of improvements to the house and to redesign the gardens. Much of the contents of his wife’s family home, Coton Hall in Shropshire, including a fine library, were at that time moved into Tickencote Hall. 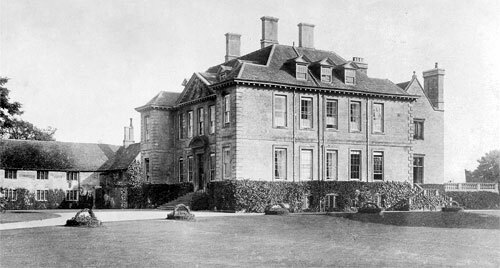 The final period of Tickencote Hall as a Wingfield family home commenced in 1869 when John Muxloe’s eldest son, John Harry Lee Wingfield moved in. He too married into money, his wife, Elizabeth Anne Johnson, bringing more paintings and other possessions to the Hall. In 1872 a massive extension was built on the rear, garden side of the extension was in a style which may well have had some similarity to the ar­chitecture of the Hall demolished in 1700. It did not, however, blend very happily with the style of the 1706 building, although, be­ing largely hidden at the back, it was not unduly offensive. Nevertheless the Wingfields of those prosperous mid-Victorian period now had a substantial house, with 20 bedrooms and 5 reception rooms, giving them a splendid base for the entertainment of friends and for gatherings of the numerous relations then living in the area around Tickencote. The building was enhanced by its setting at the foot of a pic­turesque village and beside a bend in the River Gwash. The decline and eventual fall of Ticken­cote Hall can be related briefly. In 1931 John Maurice Wingfield died and ownership of the Hall passed to his nephew, John (Jack) Parry-Wingfield (my father), the on­ly male grandson of John Harry Lee Wingfield. Up to World War II it was let and for part of the war it was occupied by Cana­dian Servicemen. When Jack returned to England in 1945 he found it in a sorry state owing to lack of maintenance and to the vandalism which ensued after the house was vacated by the Canadians. Having neither the resources to maintain it nor the desire to live in this huge building, Jack had no alternative but to sell the Hall. But demand for such buildings in those grim post-war years was virtually non-existent and eventually, in 1947 Jack sold the Hall to the only available purchaser, a builder, who purchased it for the value of the stone and other materials and promptly demolish­ed it. So ended the Wingfield connection with Tickencote Hall two and a half cen­turies after it began. On a happier note, the name of Ticken­cote Hall lives on. Since the purchaser con­verted into a beautiful dwelling house the stable block which, as related earlier in this article, had been constructed in 1706 from the remains of the earlier Hall. This is the present Tickencote Hall, improved by subsequent owners, and latterly by Peter and Tarn Dearden, which enchanted members of the WFS who visited it in May, 1988. And what are the contents of the Hall? I have an inventory taken at the time of John Maurice’s death in 1931. 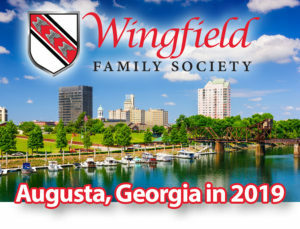 It covers 59 foolscap pages and lists the 70 family por­traits, 3,761 books and all the other heterogeneous items collected by 11 genera­tions of Wingfields. The list concluded with “A black pony, aged.” All these items, ex­cept for a very few retained by my father, and the pony, which had presumably died, were sold by auction in 1947. I have records of many of the prices fetched, which are of course derisory by today’s standards, but no information on who made the pur­chases. It is said that a number of the por­traits found their way to the United States. 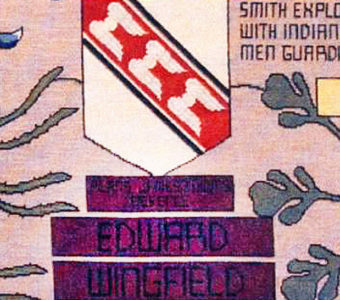 It may be that my brother and I are the last remaining Wingfields with any knowledge of the original Hall. We spent summer holidays there in the immediate post-war years; I was 11 to 12 at the time. I recall the magnificence of the house and its setting by the river; the down at heel ap­pearance of the interior, with furniture piled high in the main rooms and the re­mainder empty; and the extensive gardens and orchards still well maintained by a single gardener, where previously there had been four. In 1947 we stayed away and when we returned in 1948 the site of the house had been leveled for a lawn. Many other country houses were lost at this time and some 10 years ago they were record­ed in an exhibition at the Victorian and Albert Museum entitled, “The Lost Coun­try Houses of Britain”; the photo accompa­nying this article were among those included. The irony is that now all such buildings are listed and preserved by law. 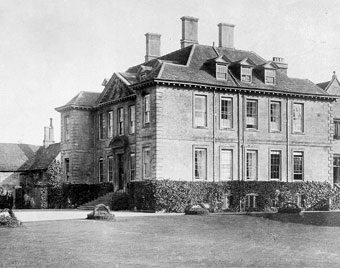 For Wingfields the destruction of Tickencote Hall is especially sad, but we are fortunate that the family is well researched and recorded and Tickencote Hall can continue to live in our imagination.